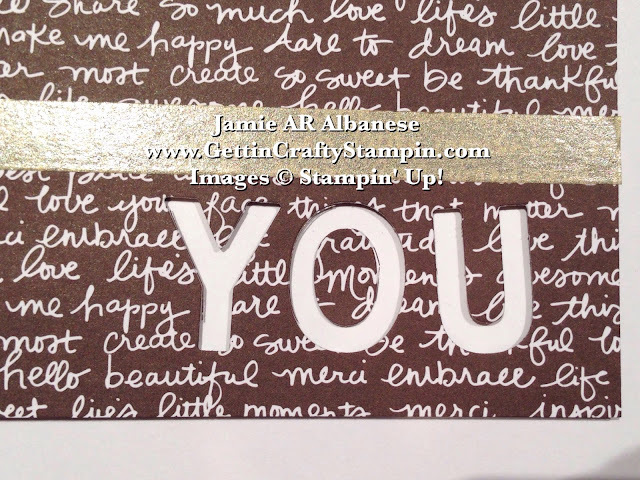 You... Dare to dream, love this life together, awesome, beautiful, amaze me, so much love.... this hand-crafted card is super easy but says soooo much! Tell someone a lot in one die-cut word with this easy hand-crafted card. A simple 4"x 4" card from a recent class at the Goebel Parks and Rec center was a HIT! Thanks to our Little Letters Thinlits it can say anything (and did) while having such a great background of this pretty Neutrals Designer Series Paper Stack page. Create a custom saying with the Little Letters Thinlits, Big Shot Magnetic Platform and Die-Cutting machine. Lay out this 4" piece of the pretty new Neutrals Designer Series Paper Stack (a collection of amazing double sided papers in each of the colors to the color families you pick). The Magnetic Platform on the Big Shot Die-Cutting Machine will allow you to place and hold the letters perfectly in line*. 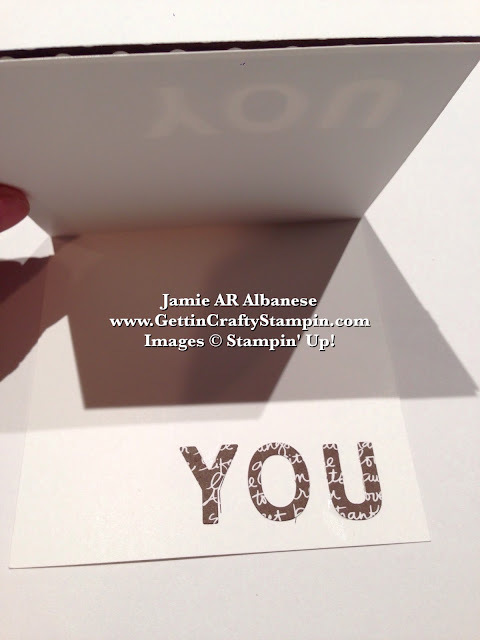 Layered over the Whisper White 4" card the white pops through the die-cut letters. Save the centers of the die-cut letters to adhere to this card. Save your die-cut letters to use on the inside of this card! It's a fun negative to the front. It's also great to use on another card or project. 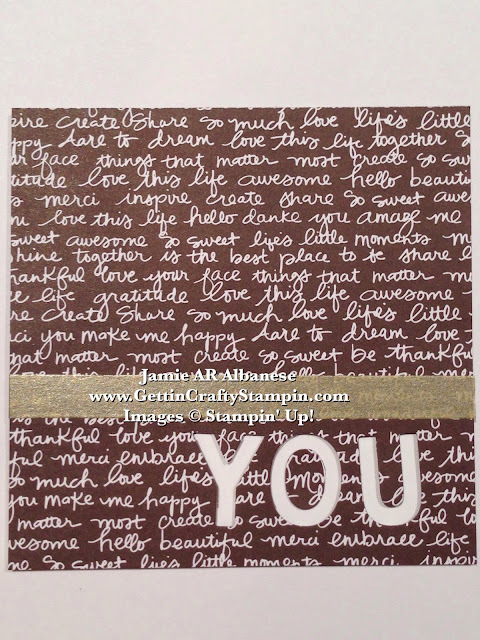 Celebrate with this 'You are' hand-crafted card that special person in your life! This is perfect for near everyone as it covers everything from encouragement, just-because and more! A hand-crafted card says soooo much and it says more when you use this great combination of die-cuts and encouraging word filled paper. Join Me in creating and sending cheer with hand-crafted cards.